During Chinese New Year, the colour red is found everywhere! It symbolizes wealth and happiness, and who doesn’t want that? It might be tricky for men to incorporate red into their Chinese New Year OOTD, but have no fear! Check out our picks of red clothes for easy styling! Intimidated by the bright and fiery colour red? Tone it down a little with a subtler alternative - wine red. This long sleeve shirt isn’t too attention-grabbing, and yet it still captures the essence of the auspicious colour. For an everyday casual type of look, this comfortable yet stylish pocket tee is perfect. Pair it with a nice pair of jeans or even throw on an outerwear of your choice for a more laid-back look. 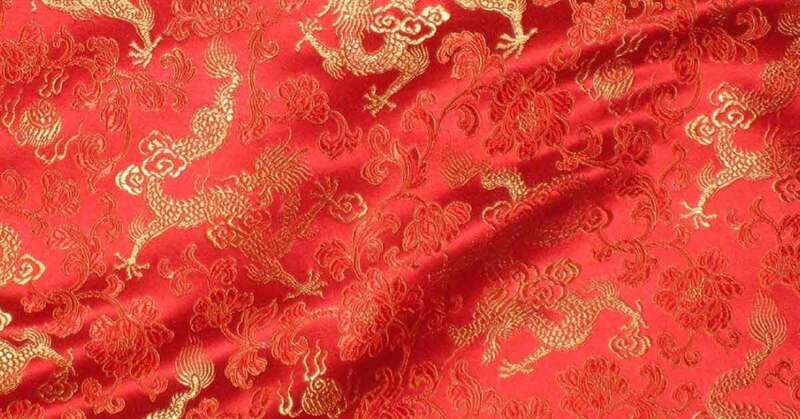 Go all out with traditional wear - Tangzhuang this Chinese New Year! This classic piece screams auspiciousness. Not only that, this Tangzhuang is also reversible! Just flip it inside out and you get a striking gold piece. Don’t let the bold colour intimidate you! Step out of your comfort zone and sport a bright red polo shirt for a change. After all, it’s the perfect colour to celebrate Chinese New Year. Button shirts are no longer boring with UA Boutique's Genesis Short Sleeve Shirt! With a white all over print on a red shirt, it brings a more casual and carefree touch to the entire look. Whether you’re doing it for the ‘gram or you’re just immune to Malaysian heat, this stylish zip sweater is a great way to add red to your wardrobe. The wine red is easy on the eyes, and you can dress it up or down according to your heart’s desire! Stay cool and comfortable with this short-sleeved graphic tee. The graphic print turns the red shirt into a more casual shirt that’s not too bold or striking. You can’t go wrong! Get all sweet and fiery with this candy-striped button shirt from LC Waikiki! Bright apple red and white stripes, it’s sure to catch some attention. It comes with a wide range of sizes, so you can easily find your perfect fit. Get all dressy, or go casual with this versatile short sleeved button shirt. It comes with a chest pocket that’s embroidered with the logo. The toned down red makes it easy for you to style and it’s also perfect for all occasions! I don’t know about you, but it’s always sweater weather for me. This knit sweater from Mango Man is comfortable and cosy to wear, and it’s the bright auspicious colour, red! Go back to basics with a red long sleeve T-shirt instead. It’s simple, comfortable and suitable for both Chinese New Year and casual wear. This versatile piece is essential to every man’s closet! Be as bright and as loud as the firecrackers this year with this striking red short-sleeve shirt. Adorned with batik prints, celebrate Chinese New Year with something that isn’t typical like the dragon or red lantern prints. A simple shirt for the simple man - you don’t have to scratch your head trying to decide what to wear for this Chinese New Year. This unisex plain red tee goes well with everything, and it’s comfortable too. Throw on this red long-sleeved sweater and you’re good to go. Versatile and stylish, this is a closet essential that you don’t want to miss. Plus, it’s something you can wear even after Chinese New Year. Don’t shy away from bold colours. A printed short sleeve button shirt is a great way to add some Chinese New Year vibes to your look without going over the top. Pair them up with a nice pair of slacks and shoes, and you’re ready to go.